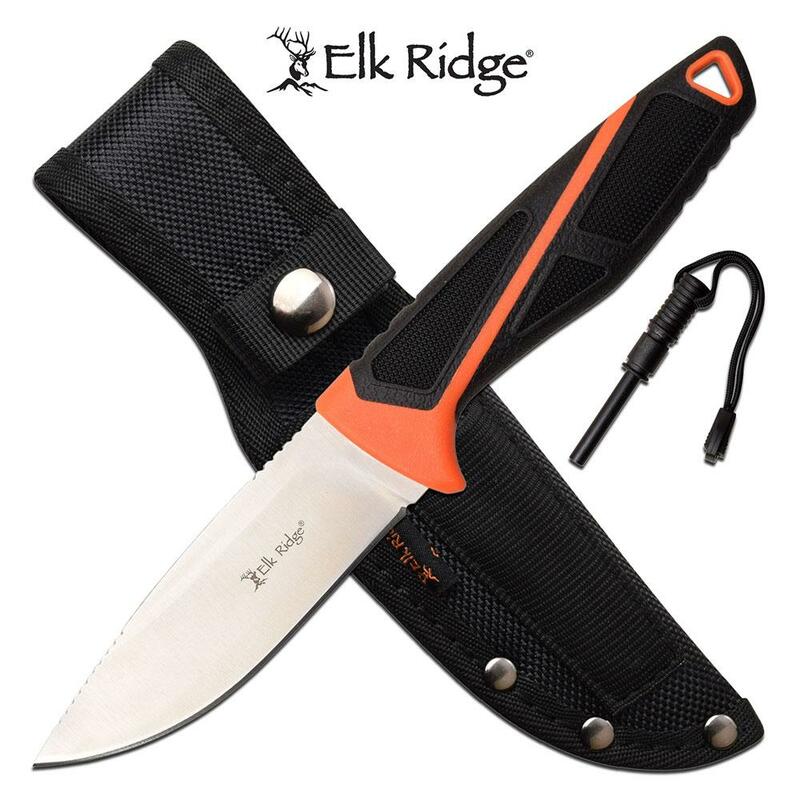 Hunting knife by Elk Ridge Knives. 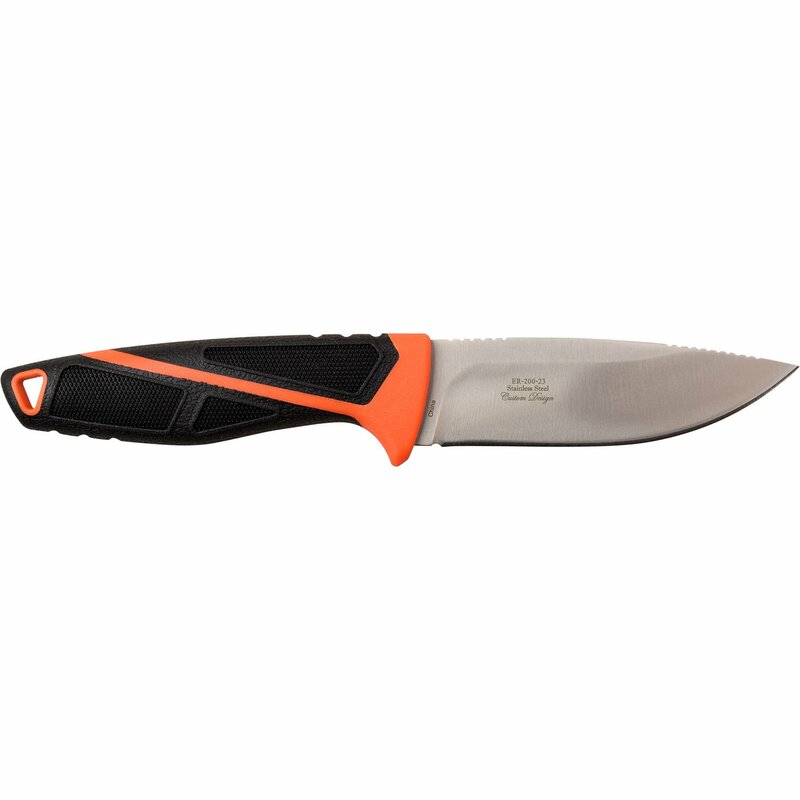 The outdoor camping fixed blade knife is 8.75 inches long. 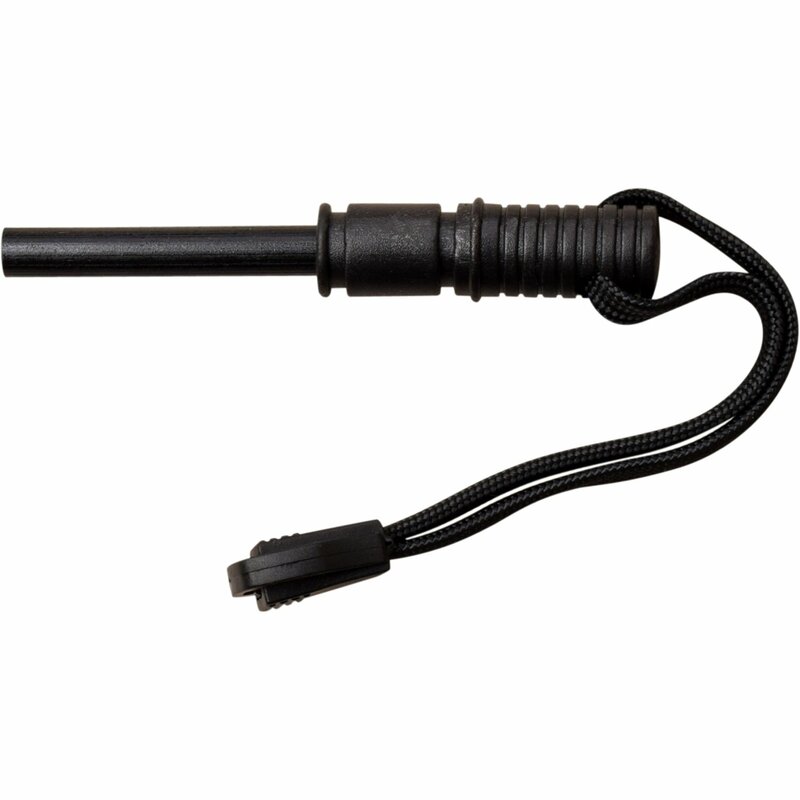 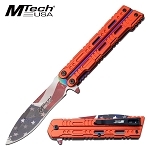 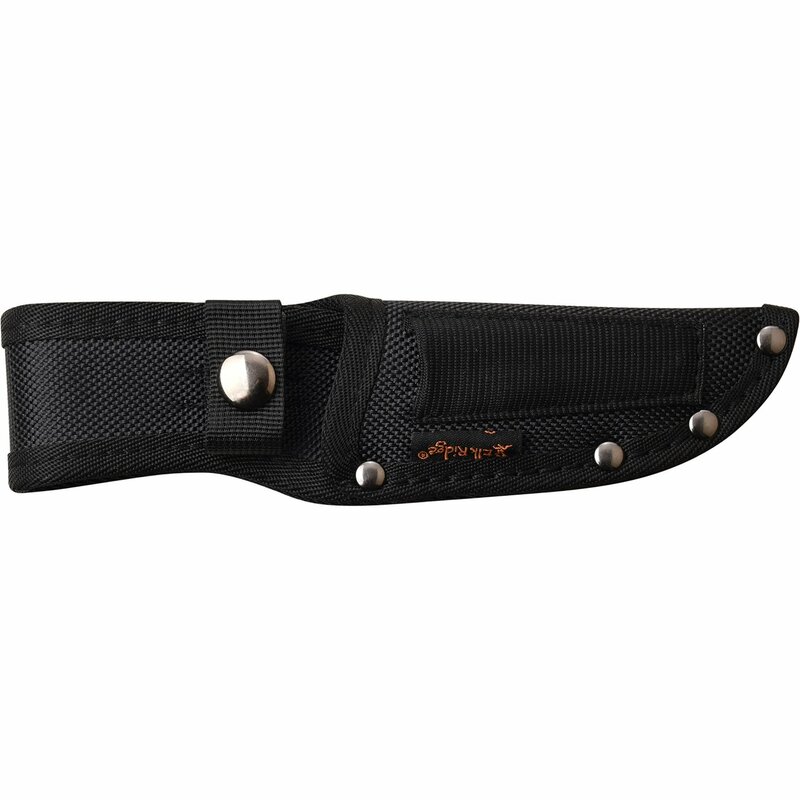 The cool knife comes with a nylon sheath and fire starter for outdoor camping adventure and survival. 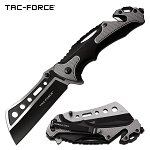 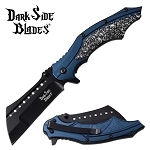 The blade is 4 inches long and constructed from 3cr13 steel. 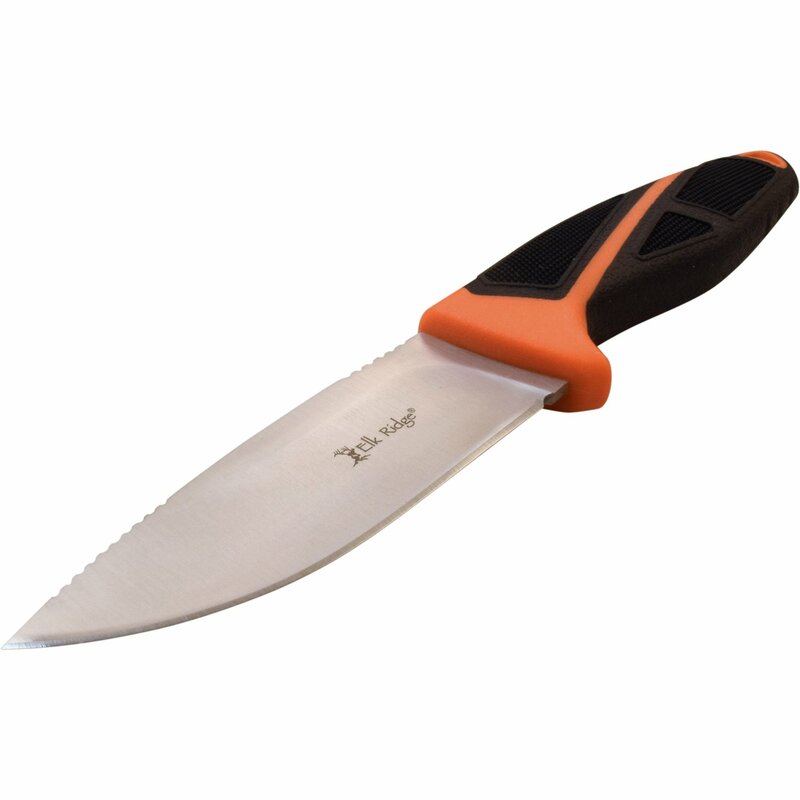 The injection molded nylon fiber with rubber over mold is 4.75 inches long.